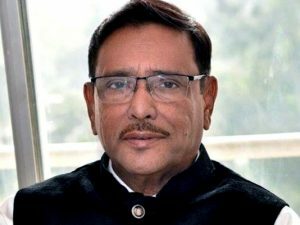 DHAKA:– Awami League General Secretary and Road Transport and Bridges Minister Obaidul Quader yesterday said the people of the country will reject BNP and vote for boat as the boat is a symbol of the liberation war. “The people of the country will reject the communal force BNP and vote for boat during the polls which is being held in the month of victory,” he said this after paying homage to the martyred intellectuals at the grave of Martyred Intellectuals Mausoleum at Mirpur marking the Martyred Intellectuals Day. Quader said BNP is a communal force, so the nation will ensure the victory of the boat by rejecting the communal force during the month of the victory. 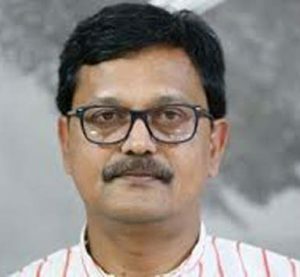 He said people are now divided in two quarters -one is anti-communal force believes in the spirit of the liberation war and they are united under the leadership of Bangabandhu’s daughter Sheikh Hasina and the other anti-liberation force who are being united under the leadership of BNP. Paying homage to the martyred intellectuals, the minister said the people of all strata who believes in the spirit of the liberation war, is now recalling the martyred intellectuals with deep respect. The occupation forces and their collaborators Rajakar, Al-Badar and Al-Shams had jointly killed the greatest sons of the soil on December 14 in 1971.